Water-cooled Maytech 150amp Programmable Speed Control. Motor Specs: 50 amps, 1500kv., 36mm dia. x 55mm long, 5mm shaft. 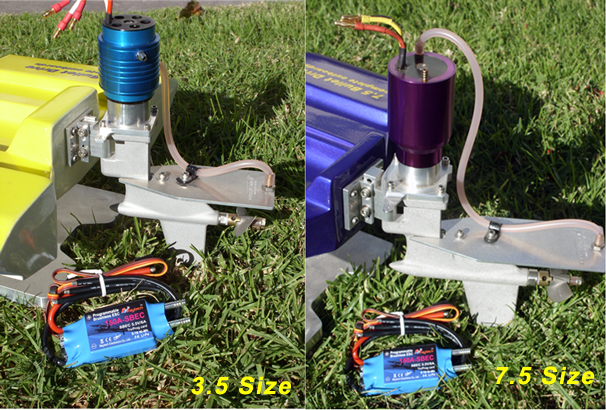 Speed control: 150 amps max, 25 volts, 6s LiPo or 18 cells NiMh. Motor Specs: 1660kv., 36mm dia. x 74mm long, 5mm shaft.